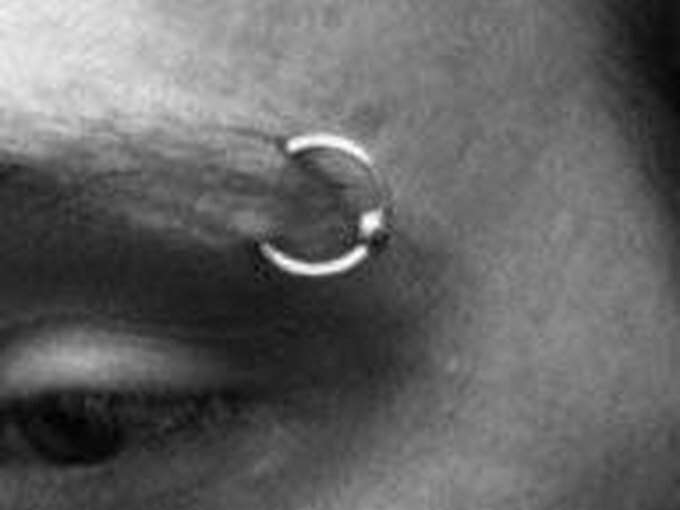 Eyebrow piercings take about 6 to 8 weeks to heal and are usually very easy to care for. After an eyebrow piercing, some people experience temporary swelling, bruising or bleeding that is not considered an infection. When eyebrow piercings become infected, they swell and become red and warm. They'll often develop a puss-filled bump at the hole. In order to save your eyebrow piercing, it's important that you treat the infection as soon as possible. Here are a few tips to help you treat an infected eyebrow piercing. Wash your hands. Lather up with an antibacterial soap before touching your infected eyebrow piercing. Only touch it as necessary and try to minimize hitting or bumping it with your hand, hair brush or other objects. 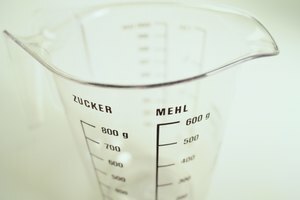 Create a saline solution. Measure a quarter tbsp. of sea salt. Pour one 8 oz. glass of warm water. Add the sea salt to the water to create the solution. Stir. Pour the stirred solution into the shot glass. Soak the infected eyebrow piercing in the warm saline solution. Use the shot glass to hold the mixture around the infected area. Do this for 3 minutes. Apply a warm compress to the infected area that has been soaked in the remaining salt solution. Leave it on until it cools then warm it up again. Repeat this process for up to 30 minutes. Don't use makeup on the infected area, and make sure your hair is always pulled away from the piercing. Never touch your infected eyebrow piercing with dirty hands. Keep a bottle of the solution in the shower to clean any remaining shampoo or soap residue off your eyebrow piercing. 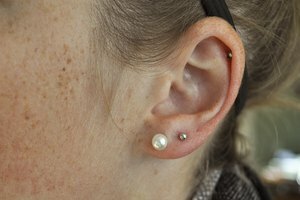 As with any infected piercing, the more you mess with it the worse it becomes. If the infection gets worse, call your doctor. Kim Linton is a political analyst, computer technician and ministry advocate who has been writing for the Web since 2001. 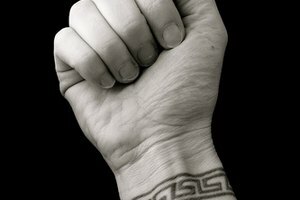 Her work has been featured on major news sites including "The Wall Street Journal" and "USA Today," and has been published on a variety of niche sites including "Woman's Day" and "Intel." Linton holds degrees in business and marketing from Indiana University.